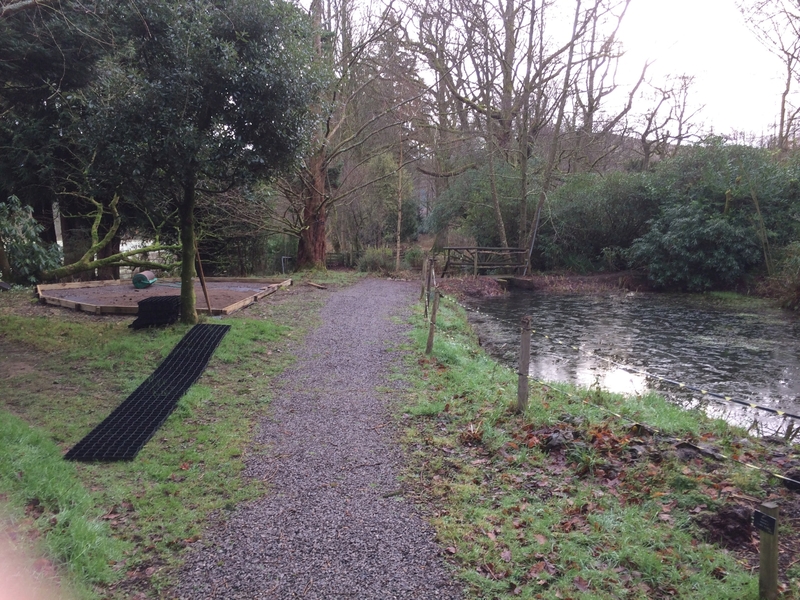 Neil and co have made progress with the establishment of the pond seating area. As you can see on the left, a space has now been cleared and foundations laid for an outside matted area on which seating will be placed. 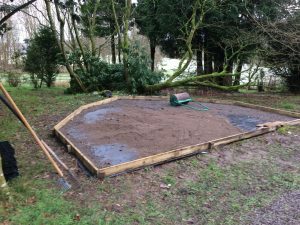 Thought has been given to creating an area that will drain naturally, as well as providing a safe surface that will not ruin the ambiance of the natural environment and can be used all year round. 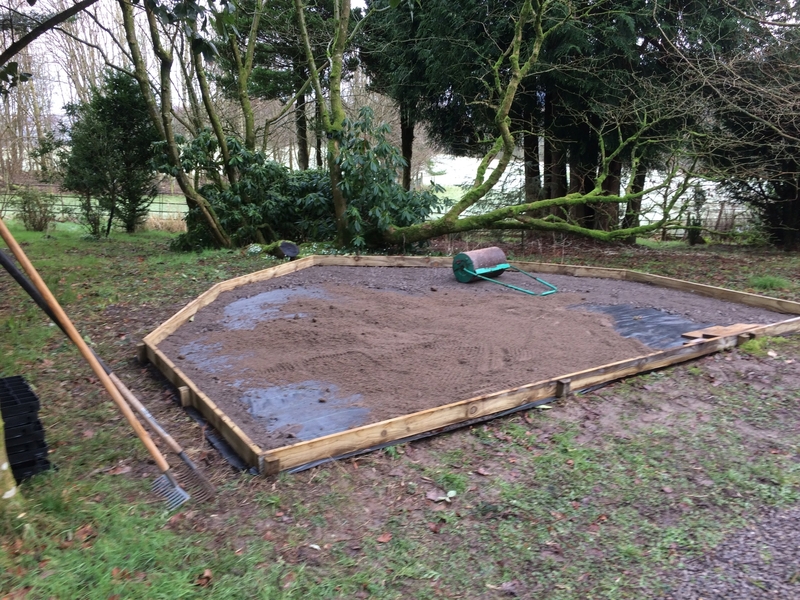 The prep work has been considerable, and gravel and sharp sand are bordered by timber. The matting is clever stuff that will lay on top of this in tessellated squares and will itself be filled with shillies. The same has been used down the road in the Lakes Distillery car park. We hope students will enjoy sitting and looking onto the pond. As many of you know, we think it can look wonderfully ‘Monet’ at times, and deserves a restful viewing area. Still to come is some cleft fencing to border the pond, our hope being that, although fancier and more costly than regular fencing, it will provide artists with some visual interest as they sit and sketch the scene. This project has partly be made possible by the generosity of Higham supporters who have contributed through buying raffle tickets for paintings (kindly donated by Tutors) and also by private donation.